We are what we appear to be: a Center of Excellence in Education. We follow the developmental trajectory of a society that chose this vision of the future in the mid-1980s. We arrived soon after that, administering our first college entrance examination in 1990 for courses in Administration and Data Processing. Soon afterward, in 1993, we experienced new, modest expansion by opening courses in Law and accounting. Beginning in 2000 and more specifically in 2002, the institution experienced a remarkable process of orderly growth under the name Cesumar University Center. As a result of a conscientious and planned trajectory, Unicesumar expresses and perfectly reflects the magnitude and potential of this educational work. In 2006, Unicesumar entered the era of Remote education. Since then, our expansion has not stopped. We now have 58 education centers spread throughout Brazil. In 2013, The University Center was renamed Unicesumar. Our medical courses seek to become a reference for training physicians, with a focus on health problems and their solutions. Physician will gain a comprehensive view of the human being, while considering social, cultural, and familial contexts and being guided by humanist, ethical, moral, and Christian principles. In addition to relying on strong partnerships with hospitals and local/regional public health services, our courses stand out for their innovative education, the excellence of our faculty, and our complete infrastructure. Our pedagogic program meets National Curriculum Guideline, using active teaching and learning methods or PBL (problem-based learning), which favors knowledge of the reality of health and the development of social commitment to future physicians. Students actively discuss issues related to health and disease, with increasing levels of autonomy and complexity. Learning is accomplished through interdisciplinary and multiprofessional thematic lectures and laboratory practices. From the first year, students will interact with patients, families and communities, under the supervision of professors, to foster community interactions, clinical skills and attitudes. The courses consolidate and strengthen the important social role played by Unicesumar in its various courses in many health fields, including Nursing, Pharmacy, Biomedicine, Physiotherapy, Nutrition and Dietetics, Social Work, Psychology, Hearing and Speech Therapy, Biological Sciences, Dentistry, and Physical Education. It offers these courses through different clinics public healthcare centers, and projects with community involvement. A new look for the assessment of medical competence The medical courses at Unicesumar were uniquely created as part of the CMIRA network, a program developed by the Syrian-Lebanese Institute of São Paulo that supports medical schools and medical students in Brazil. 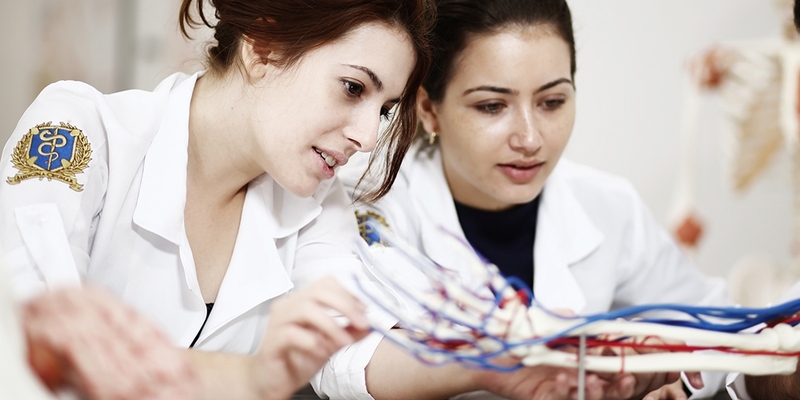 This partnership with Syrian-Lebanese Research Institute, which is linked to the Syrian-Lebanese Hospital, offers schools and medical students a framework that supports learning, assessment, and certification and serves as an external national and international reference for professional competence, recognizing different levels of development.